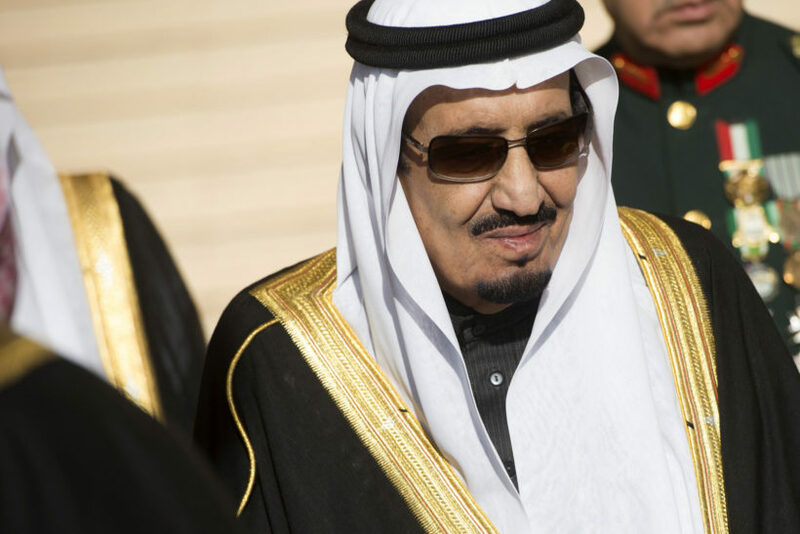 Saudi Arabian King Salman bin Abdulaziz Al Saud. (by Ralph Peters, NY Post) — Iran is our external enemy of the moment. Saudi Arabia is our enduring internal enemy, already within our borders and permitted to poison American Muslims with its Wahhabi cult. The Saudis love having Muslims in America, since that stakes Islam’s claim, but it doesn’t want Muslims to become Americans and stray from the hate-riddled cult they’ve imposed upon a great religion. The tragedy for the Arabs, especially, has been who got the oil wealth. It wasn’t the sophisticates of Beirut or even the religious scholars of Cairo, but Bedouins with a bitter view of faith. The Saudis and their fellow fanatics in the oil-rich Gulf states have used those riches to drag Muslims backward into the past and to spread violent jihad. Here’s one of the memories that haunt me. On Kenya’s old Swahili Coast, once the domain of Muslim slavers preying on black Africans, I visited a wretched Muslim slum where children, rather than learning useful skills in a state school, sat amid filth memorizing the Koran in a language they could not understand. According to locals, their parents had been bribed to take their children out of the state schools and put them in madrassas. Naturally, educated Christians from the interior get the good jobs down on the coast. The Muslims rage at the injustice. The Christians reply, “You can’t all be mullahs — learn something!” And behold: The Saudi mission’s accomplished, the society divided. The Saudis build Muslims mosques and madrassas but not hospitals and universities. The basic fact our policy-makers need to grasp about the Saudis is that they couldn’t care less about the welfare of flesh-and-blood Muslims (they refuse to take in Syrian refugees but demand Europe do so). What the Saudis care about is Islam in the abstract. Countless Muslims can suffer to keep the faith pure. In Mombasa, Kenya, you drive past miles of near-empty mosques. Pakistan has been utterly poisoned, with Wahhabism pushing back even the radical (but less well-funded) Deobandis, the region’s traditional Islamist hardliners. Shamelessly, the Saudis “offered” to build 200 new mosques in Germany for the wave of migrants. That was too much even for the politically correct Germans, and Chancellor Angela Merkel’s deputy had as close to a public fit over the issue as toe-the-line Germans are permitted to do. In the long run, the Saudis will lose. The transformative genius of America will defeat the barbarism. But lives will be wrecked along the way and terror will remain our routine companion. Why did we let this happen? Greed. Naïveté. Political correctness. Inertia. For decades, the Saudis sent ambassadors who were “just like us,” drinking expensive scotch, partying hard, playing tennis with our own political royalty, and making sure that American corporations and key individuals made money. A lot of money. And we let the Saudis exert control over America’s Muslim communities through their surrogates. No restrictions beyond an occasional timid request to remove a textbook or pamphlet that went too far. Think what we’re doing: The Saudis would never let us fund a church or synagogue in Saudi Arabia. There are none. And there won’t be any. Wouldn’t it make sense for Congress to pass a law prohibiting foreign governments, religious establishments, charities and individuals from funding religious institutions here if their countries do not reciprocate and practice religious freedom? Isn’t that common sense? And simply fair? Osama bin Laden was just one extremist of thousands. The 9/11 hijackers were overwhelmingly Saudi. The roots of the jihadi movements tearing apart the Middle East today all lie deep in Wahhabism. There’s now a renewed push to have those 28 pages released. Washington voices “soberly” warn that it shouldn’t be done until after the president’s upcoming encounter with the Saudi king, if at all. Do it now. Stop bowing. Face reality. If we’re unlucky, we may end up fighting Iran, which remains in the grip of its own corrupt theocracy — although Iranian women can vote and drive cars, and young people are allowed to be young people at about the 1950s level. But if fortune smiles and, eventually, the Iranian hardliners go, we could rebuild a relationship with the Iranians, who are the heirs of a genuine, Persian civilization. Consider how successful and all-American Iranian-Americans have become. War with Iran will remain a tragic possibility. But the Saudi war on our citizens, on mainstream Islam, and on civilization is a here-and-now reality. Ralph Peters is a retired United States Army lieutenant colonel, author, and media commentator. Published April 16, 2016 at The New York Post. Reprinted here for educational purposes only.